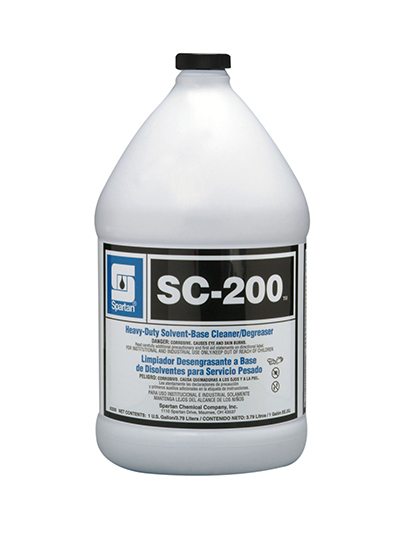 SC-200 is a high alkaline, solvent-based, extra heavy-duty industrial cleaner. Formulated for use at low to medium range dilutions, SC-200 attacks grease and encrusted soil on concrete, road equipment, and heavy machinery. Safe to use in automatic scrubbers, SC-200 efficiently cleans manufacturing facility floors.